The Harvest Jazz & Blues Festival takes over downtown Fredericton every September, and at times, it appears as if the entire city shows up and wanders the streets to take in the many free shows that are scattered around town. It is blessed with incredibly generous audiences who seem to like each and every artist, and are more enthused with the festival than who is currently onstage. This year, however, the organizers reached a little outside their comfort zone and booked a more diverse lineup that goes beyond simply jazz and blues, and that made for the most interesting Harvest in some time. Opening the festival proper was the Grammy Award-winning Keb' Mo', with exactly the kind of straightforward blues that audiences lap up every year. The entire set was a little on the one-dimensional side, but there was no denying that the man knows how to play the blues, albeit with very smooth edges. Women love Joel Plaskett, hence the Beatlemania-esque screams that punctuated his time onstage. 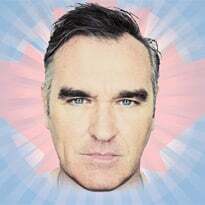 In fact, the entire audience adored him and wanted to sing along with each and every song; he and the band could have just phoned it in and nobody would have even cared. That said, he was great. The mid-show acoustic set was a welcome respite from his high-energy performance, but it wasn't too long before he was back to his lanky dancing ways again. There's a reason that Plaskett is slowly becoming a national treasure, and it was very evident at Harvest. These days, Bruce Hornsby is more funky than melancholy. Since he swapped the Range for the Noisemakers, he's moving into Jazz Odyssey territory. While it is impressive that he can improvise his way through any song sitting at a grand piano, there were times that it was just too much. Thankfully, he showed some restraint as he meandered around the keyboard and eventually got to his final destination. Eventually. Kathleen Edwards's recent run of bad luck has continued with both wasp stings and a mild concussion, although neither incident has made it into song yet. She was charming when she was telling stories between songs and utterly beguiling when singing. Her effortless style is on display even while opening up about her personal life through stories and song, making for a very enjoyable show. It turns out that everything you might have heard about Charles Bradley is absolutely true — his live performance is one of the most impressive around thanks to a combination of passion and sincerity. He sure can wail and dance, equal parts Otis Redding and James Brown, and it is impossible not to be pulled in by his repeated declarations of love for the audience — everything about him screams authenticity. When he left the stage after his encore and walked through the crowd, there was no shortage of people lining up to hug and reciprocate that love. 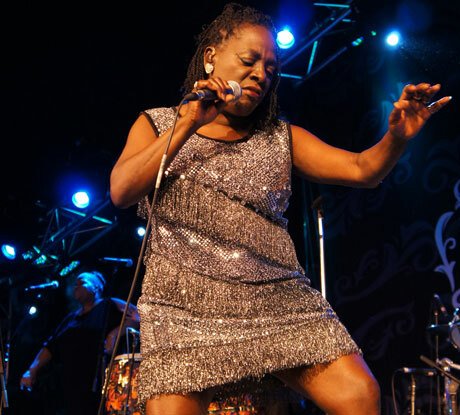 When Sharon Jones took to the stage, it quickly became apparent that she wasn't going to stop dancing until she left the stage again. There was absolutely nothing subtle about her performance — just an incredibly talented band fronted by an energetic singer pumping out songs that could have quite happily been released on Stax Records at the peak of their success. It is, however, an irresistible combination making this was one of the best shows in the festival's 20-year history.